MS3X MegaSquirt 3 with expansion arrives equipped with features surpassing MS2 & MS1 systems, like sequential fuel & spark, 2 step, progressive nitrous, boost control, onboard traction control & much more! MS3X paved the way for the powerful MS3Pro systems by AMP EFI. MS3X helped Lee Sicilio to a 283mph record at Bonneville in his beautiful twin-turbo charged Daytona Charger. Are you on a budget, but still want complete control of your race purpose vehicle? MS3X has the features to give you a serious competitive advantage without breaking the bank. 8 Sequential fuel injection outputs. Each can drive a high impedance injector, unused injection outputs can be re-purposed. 8 Logic level 5 volt ignition outputs. 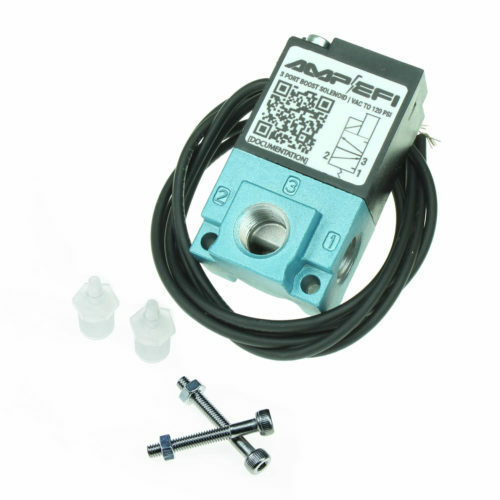 Works with many types of ignition modules and coils, including LSx coils and our IGN1A. Requires external module or coils with internal ignitors. 6 Medium current outputs. Use for 2 stage progressive nitrous, boost control, tach output, 3 wire idle speed control, general purpose PWM or relay control, or many other potential applications. 3 Analog inputs. 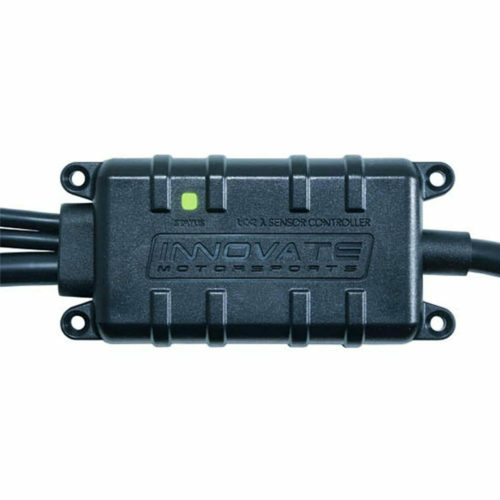 Use for an external MAP sensor, second O2 sensor, fuel pressure, accelerometer, or general data logging. 4 Switch inputs. Can be used to start data logging, arm a nitrous system, switch tables, launch control, VSS input (Hall sensor or VR with external conditioner), and more. 1 Cam sensor input. Can be used with VR, Hall, or optical sensors. VE and ignition tables are both 16 x 16 with full interpolation. Connect MS3X via serial laptop connection and enable it in TunerStudio. What harness do I need with this? You need both the MegaSquirt harness and the MS3X harness. 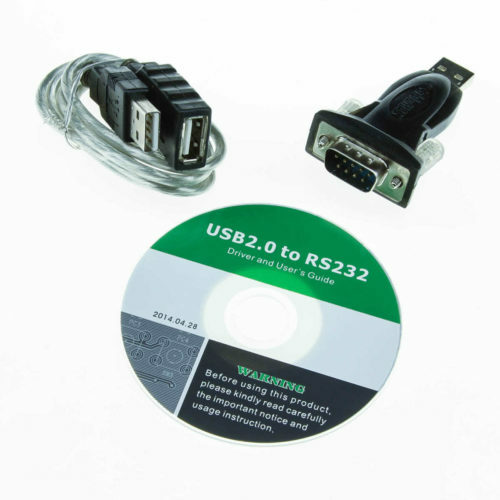 What inputs and outputs is the MS3 V3.57 with MS3X set up for? The MS3 V3.57 ships with the latest MS3 code. The code it initially shipped with will be indicated on a sticker on the underside of the unit. Is the V3.57 board available in kit form? The V3.57 is essentially a V3.0 that has been changed for machine assembly with very few differences. Consequently, it is not offered in kit form. What connections are on the DB15? By default, it only has a couple extra reference voltage and ground pins for sensors. The DB15 can be used for adding optional I/O if you run out of pins on the main connector. The components are assembled at various locations in the US, with final assembly completed in Suwanee, Georgia. We provide a one year limited warranty against manufacturing defects. Yes, please see our 4.6 Mustang installation notes for more details. 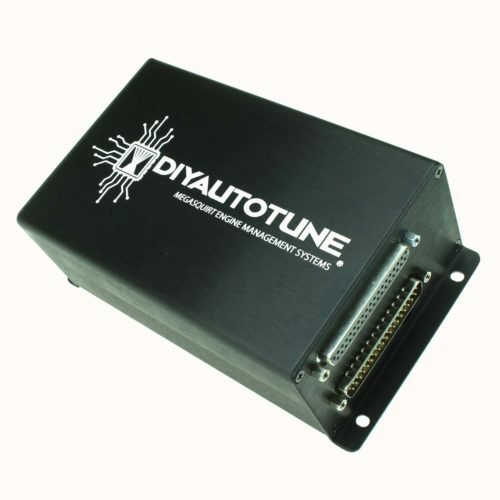 The wideband oxygen sensor system is optional, but a very useful tuning tool. We carry the Innovate line. This is what we would typically recommend for a rotary installation. Also, please see our guide to installing MS3 on an RX7 for more tips. This can run the setup you describe if you use the main board drivers to run the LPG injectors in two banks of three, or if you use external peak and hold drivers to run the LPG injectors sequentially. While an MS3 V3.57 can control the VVTi system on this motor, this engine uses two VR type cam sensors. You'd need an external VR conditioner for the second cam sensor. 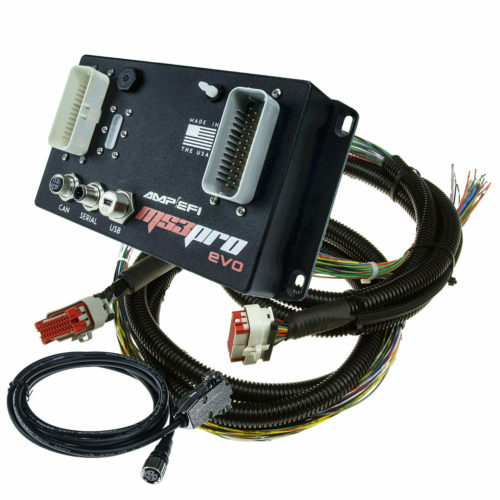 Stepping up to an MS3Pro EVO will get you extra VR conditioner channels, so you won't need extra modules to run the VVTi. In either case, you'll need a cable operated throttle body. Please see our Software / Downloads page for where to download tuning software. This system supports almost all ignition systems you could run on a Ford smallblock. You will need wiring for two connectors - the main board connector, which takes a standard MS1 / MS2 / MS3 harness, and separate wiring for the MS3X. We have these harnesses in 8' and 2' lengths, but do not have any application specific harnesses for this particular ECU. You could use our N52 DIYBOB breakout board to make an adapter harness for this ECU. The DIYPNP startup map can be loaded into an MS3, although some settings will not load over, and you will need to configure the output pins differently since the MS3 and DIYPNP output ports are not the same. Double VANOS solenoids need 12 volt power instead of ground to trigger. You can use our HSD-4 high side driver module for this purpose. This unit could run wasted spark ignition and semi-sequential fueling. Stepping up to an MS3Pro EVO will allow fully sequential fuel control, although the ignition will still be wasted spark. You could run twelve coils; they'd just be fired in pairs. Pretty well - it can run the stock ignition, whether it's coil on plug or the earlier dual distributor version, with the factory sensors. In addition to sequential injection and individual cylinder tuning, this ECU can do boost control, traction control, and many other tuning features. 6.5" long (including mounting feet), 4" wide, and 2.75" tall. If using LS1 coils, I'd recommend using a crank trigger, like the 36-1 trigger wheels we sell. You can make the distributor into a cam sensor by cutting the reluctor wheel down to one tooth. You will need to use a cable operated throttle body with this system. The factory Gen III Hemi throttle bodies were drive by wire, but there are some aftermarket throttle bodies out there for this application that use a cable. You would either need to have the stock ECU control the drive by wire or convert to a cable operated throttle body, and we'd also need to know the transmission details to see if anything is needed there. This ECU does have everything needed to run the engine with the exception of drive by wire; you would just need to add the two wiring harnesses and wire it up. A wideband O2 sensor is also a good idea as it makes tuning the fuel a lot easier. There's very little difference. The V3.57 is essentially just a machine assembled V3.0, and they run the same firmware. Yes, these ones use a fairly straightforward distributor, and you can use the "G" sensor to get sequential injection with the stock ignition. Or swap to a later cam angle sensor from a DLI motor if you want more precise triggering. This one has two 37 pin connectors, each needing their own harness. These links will take you to the harnesses needed in 10' length. The best way to get knock input on this unit is with our MS3 Knock Module Kit. Yes. This works the same was as the Nippondenso CAS settings in the manual although it has a 12 tooth wheel at crank speed rather than a 24 tooth at cam speed. It includes a set of solder cup connectors for making your own harness. We sell flying lead harnesses separately in 10' or 2' lengths depending on whether you want to wire the engine from scratch or make a patch harness. You will need separate harnesses for the main board and MS3X if you go that route. The MS3 has VVT control as well. We plan to release an MS3 based MSPNP for these cars soon. This replaces the entire stock ECU. Although it can be tuned to produce good tailpipe readings, it does not make any attempt to keep the factory smog equipment working and is not CARB approved. Consequently, it's sold for unregulated race cars only. Sorry. You'd just need to add our wiring harnesses (both the main board and MS3X), as long as you are using coils with built in ignition modules. A wideband O2 sensor will also be helpful for tuning. The website will calculate shipping once you check out, before you send payment.